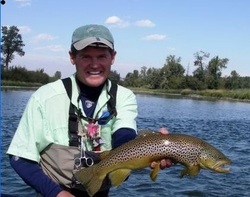 National Football League legend, Gary Anderson, is passionate about fly fishing! Gary Anderson is a spokesman for the fly fishing industry and named his company, "Perfect Season" primarily because he believes it is always a "perfect season" somewhere in the world to be fly fishing! The other reason is well known, Gary is the 1st kicker in the NFL to have a "perfect season" (1998) without missing a single kick (he is one of only 2 kickers to do this) , making 94 out of 94 kicks. Gary's primary role is being a keynote speaker in the fly fishing industry to help promote the sport, he is also a motivational speaker for corporate, school and athletic events, on a fee basis with a donation to his local charity. In 2004, Gary had retired from the NFL. Gary and his wife, Kay, had vacationed in Banff National Park and both fell in love with a nearby mountain town called Canmore. Gary, Kay, and sons Austin and Douglas then relocated to Canmore, Alberta CANADA. Gary ended up being called out of retirement in 2004 for one final season and played his 23rd season for the Tennessee Titans. Through Perfect Season, Gary has partnered with various company's in the fly fishing industry to help promote this wonderful sport! Gary specifically is targeting the younger generation and also fly fishing for the entire family. 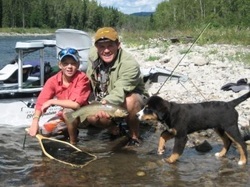 In 2001, Gary even proposed to his wife Kay while fly fishing together with the whole family on a river in Montana, Gary says, "My most special moments in my life, are the time spent fly fishing with my two boys and wife, Kay."